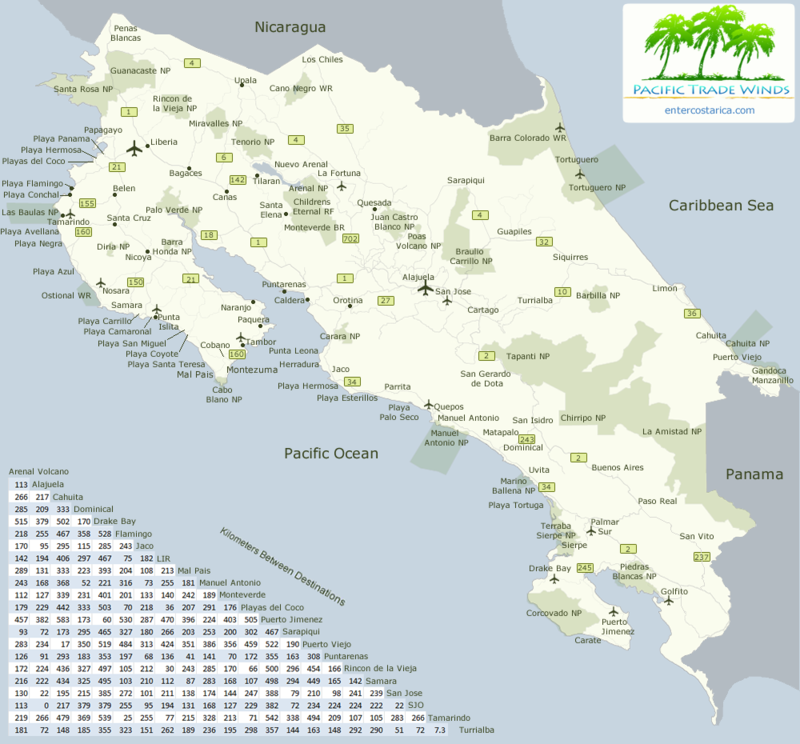 Costa Rica is located roughly 10 degrees north of the equator in Central America. It is bordered by Nicaragua to the north and Panama to the south. The Caribbean Sea is to the east and the Pacific Ocean to the west. For more information about the location of Costa Rica, follow this link to our map page.